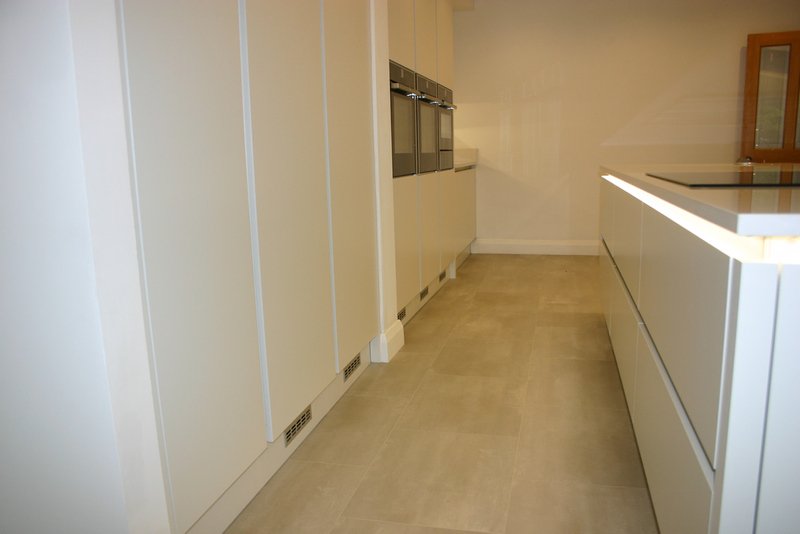 Door Style = Biography True Handle-less Porcelain (off white) Lacquer finish. 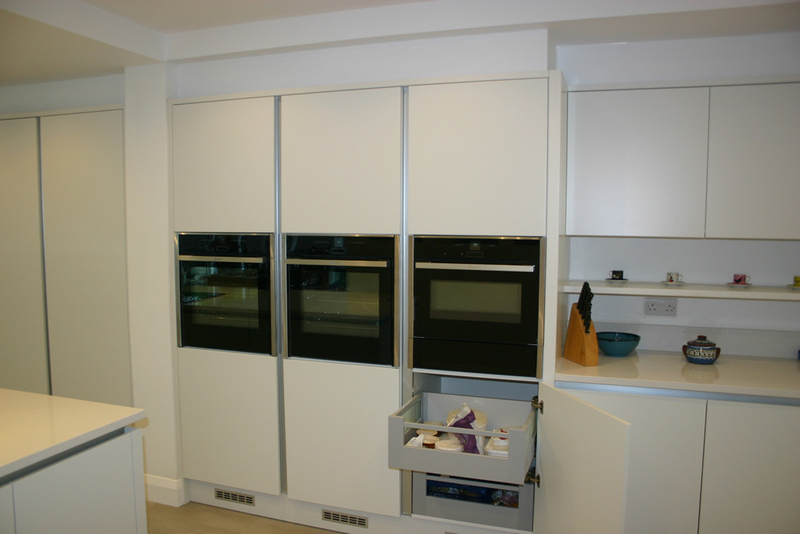 Total Package Costs = £23,600 Including Kitchen Furniture, Appliances, Pullouts and Quartz worktops. 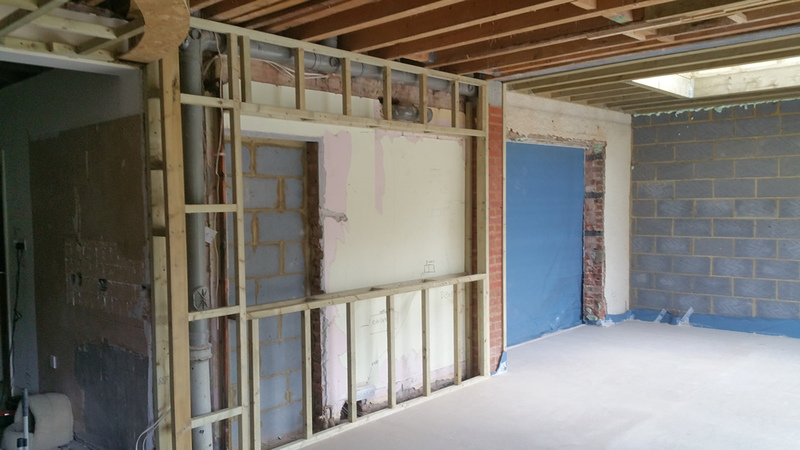 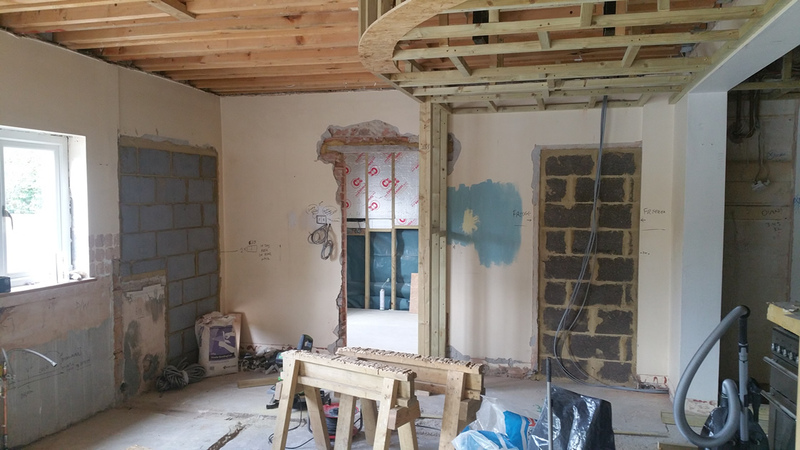 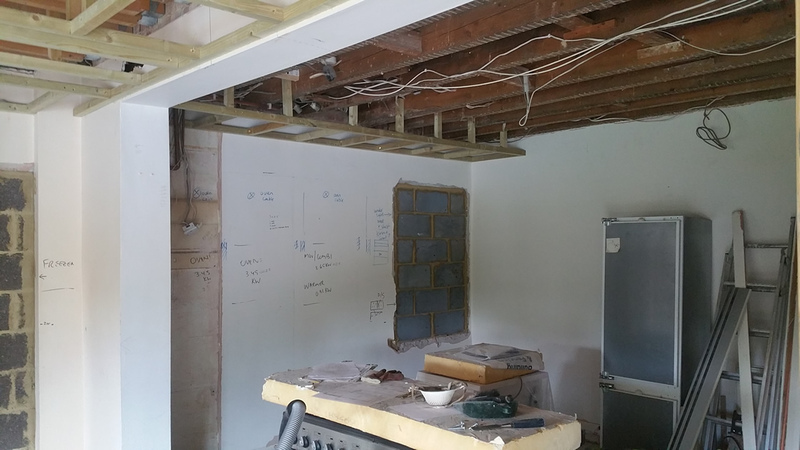 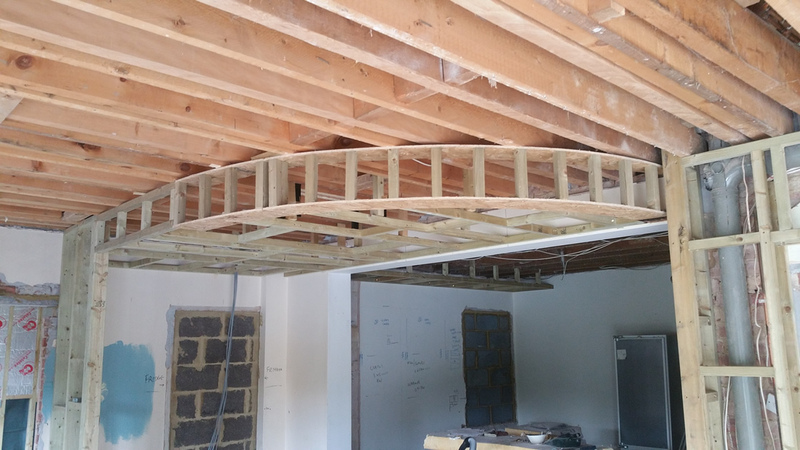 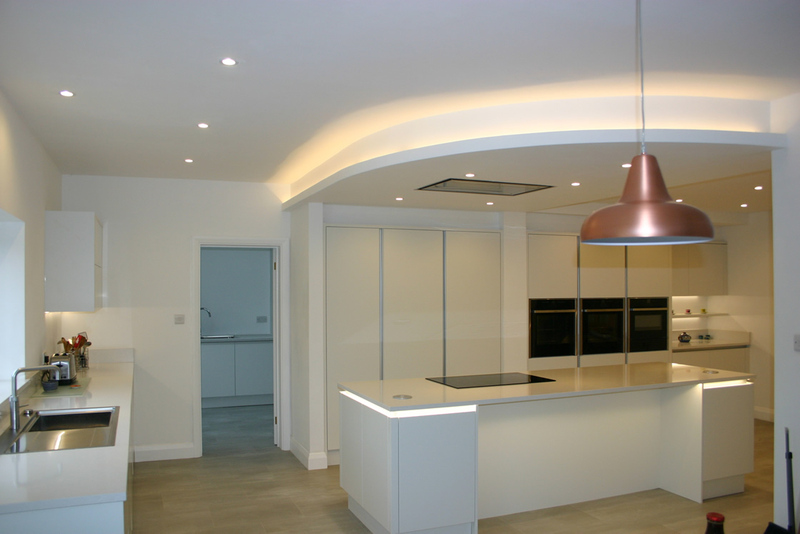 Features: A typical liaison with the clients builder resulted in the creation of a curved bulkhead to receive the Flush ceiling hood & ducting. 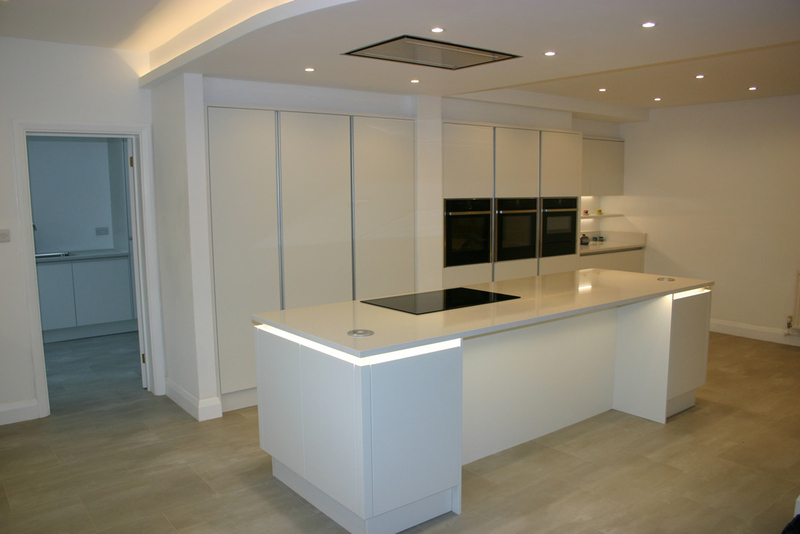 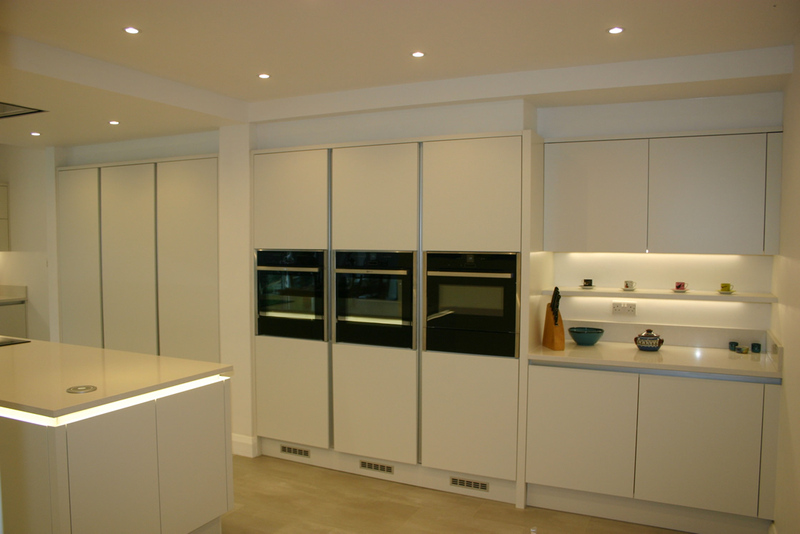 The use of bright led lighting around bulkhead, cut into underside of worktop on Island & under wall units & shelfs give a stunning look on those long dark nights. 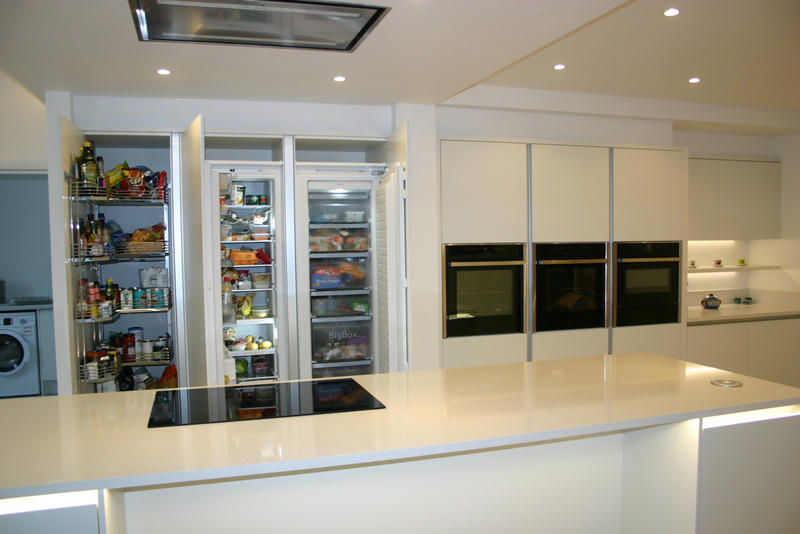 A wise choice of one full function Neff oven with Steam function, one with Neff Pyro clean oven with an additional Combination Oven, gives ample flexibility for Cooking and Entertaining.